It is hard to put into words just how soul-destroying it is to see vast swathes of flooded fields in Malawi following the havoc wreaked by Cyclone Idai. Just three weeks ago, I visited Malawi and saw the vibrant maize crop which was due to be harvested in April. It was the 'hungry season' in Malawi - that time of the year when people were trying to stretch what was left of their last harvest while waiting for the current crop to mature. But there was a sense of hope. Now this rich harvest has been snatched away. Concern's teams working in some of the worst-hit districts are reporting that 80pc to 100pc of the crop has been destroyed. It is difficult to explain to people in Ireland just how devastating an impact the floods have had. Malawi is one of the poorest countries in the world, with limited capacity to cope with such disasters. Even prior to Cyclone Idai, 3.4m were dependent on external supports. And now this. Concern has been working in Malawi since 2002. Today, the immediate needs are water and sanitation facilities for the 90,000 people displaced by the disaster. But Concern is also looking to the future. When the waters subside it is essential that farmers plant quick-maturing winter crops to enable them to feed themselves. We will provide seeds, tools and assist in repairing irrigation systems damaged by the floods. We can only do this work with the financial support of the Irish public. 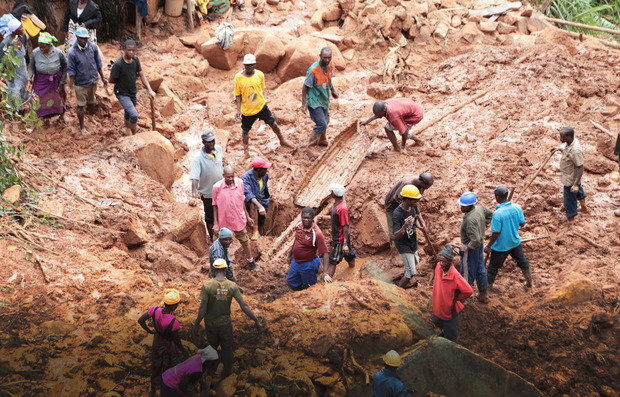 Concern launched its Cyclone Idai appeal to raise €5m to fund our work in Malawi. With your support we will help families recover.